Why should you hire an accountant for your business? It is a question many entrepreneurs find themselves pondering. When every dollar counts, deciding how to spend your money matters. That is exactly why you should hire an accountant. An experienced accountant can help you make sure every penny is being spent wisely by keeping tabs on your finances, offering expert insight of your business’ financial big picture and guiding you through tax time. 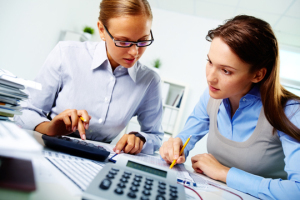 While an accountant is not a bookkeeper, some do offer bookkeeping services. Even those that don’t can often help their clients set up a practical, useful system for keeping tracks of income, expenses and inventory. True, software exists that business owners can use to establish their own system, but a professional accountant has the experience and expertise to customize your record keeping system, ensuring you’re using the system that best suits your business’ needs. Using the most effective method of record keeping can save time, paint a clearer picture of a business’ financial status, and allow you to identify trends and react more rapidly to them. An accountant can also periodically audit accounts to verify everything is as it should be and that no incorrect information has corrupted your data. As The Globe and Mail reports in the article “Nine Reasons Why Entrepreneurs Should Hire an Accountant,” having an accountant overseeing your business can be a major asset when you need to deal with other financial players like banks. The training to become an accountant involves much more than learning to juggle numbers. In fact, accounting is sometimes referred to as the language of business, because it is so entwined with running a successful business. A degree program in accounting includes lots of business and analysis coursework that prepares aspiring accountants to transform a company’s raw data into useful information. The U.S. Bureau of Labor Statistics notes that accountants’ training prepares them to evaluate financial records and then use their finds to offer recommendations to managers and business owners. This can include suggestions for reducing costs, increasing revenues and maximizing profits. What business owner doesn’t want that? Plus, many accountants have worked with a variety of business over the course of their careers, learning what really works and what doesn’t. This experience allows them to offer valuable insight that can help companies avoid false starts and expensive missteps. As Entrepreneur explains, the tax assistance qualified accountants can offer is two-fold. They can aid in tax planning, which involves strategizing to minimize how much tax you’ll owe. They should also guide your business in matters of tax compliance, working to ensure that you are obeying all tax laws and meeting all necessary obligations. In addition, your accountant can be an invaluable ally in your business’ interactions with the Internal Revenue Service. Hiring the right accountant can be a huge benefit for your business. Finding potential contenders can be as simple as asking for recommendations from your fellow business owners, your lawyer or even your bank. You could also contact your state’s chapter of the Society of Certified Public Accountants for a list of professionals in your area. Once you have compiled a list of candidates, set up meetings to see how well their personalities and professional services mesh with you and your business needs. The services of an experienced accountant can be a major boom for business owners, allowing them to operate effectively and avoid potential pitfalls. With the many benefits these experts offer, it is no wonder so many smart entrepreneurs hire an accountant for a business.